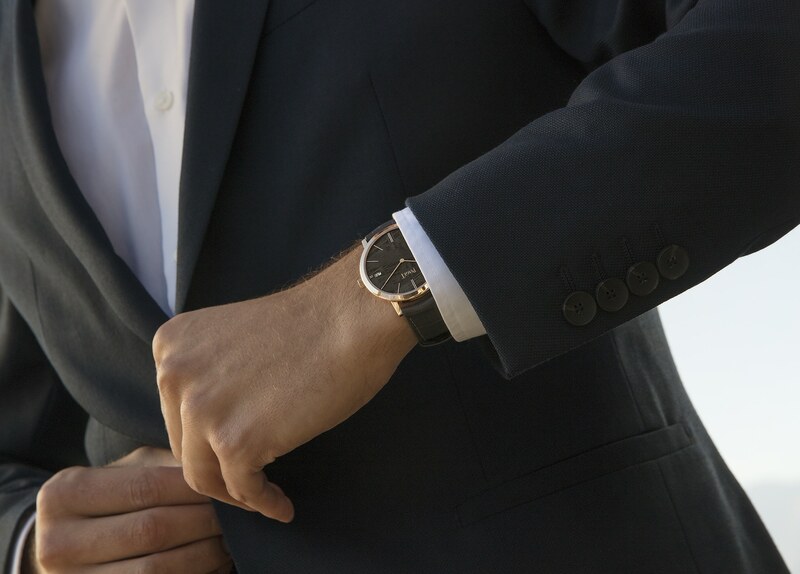 Ultra-thin watchmaking is a subset of haute horlogerie that has long been associated with Piaget. The La Côte-aux-Fées manufacture boasts numerous historical achievements in this area, having created the world’s thinnest manual-wind movement (the calibre 9P) in 1957. 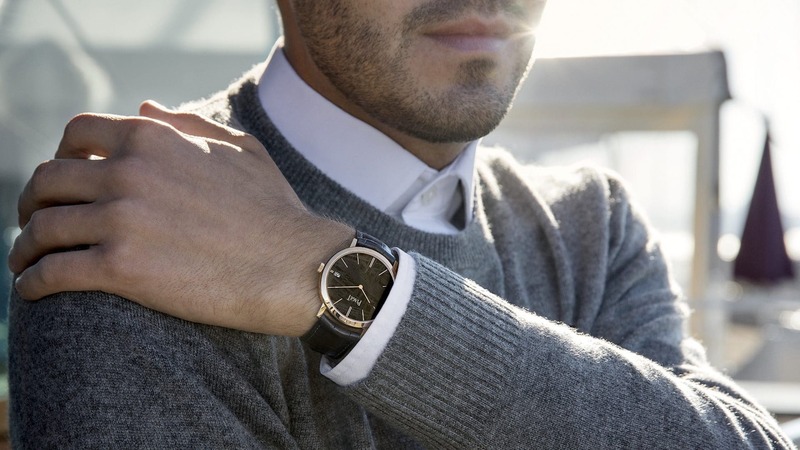 They followed this up in 1960 with the creation of the ultra-thin calibre 12P; and more recently, the Altiplano Ultimate Concept — at 2mm, the thinnest non-serialised wristwatch in the world. Unsurprisingly then, for SIHH 2019 the brand once again drew upon the perennial canvas that is the Altiplano collection with a series of two limited editions, both featuring meteorite dials. Let’s be clear: the new 40mm Automatics aren’t going to win any awards on innovation — after all, watchmakers have been experimenting with meteorite since the 70s — but what it does get across is a relatively flattering set of proportions (ideal for daily wear) together with an off-kilter somewhat throwback sensibility. 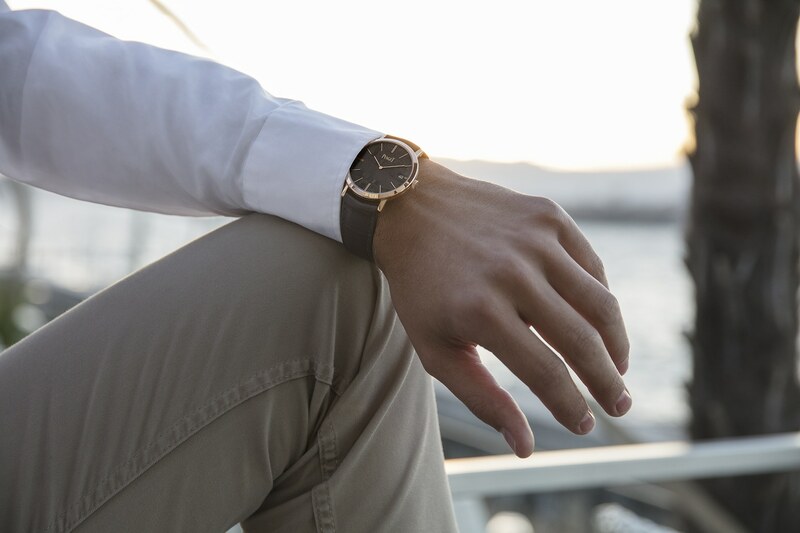 The Altiplano's ultra-thin rose gold case (40mm) and meteorite dial lend it a kind of "blink and you'll miss it" appeal that's ideally suited to formal daily attire. 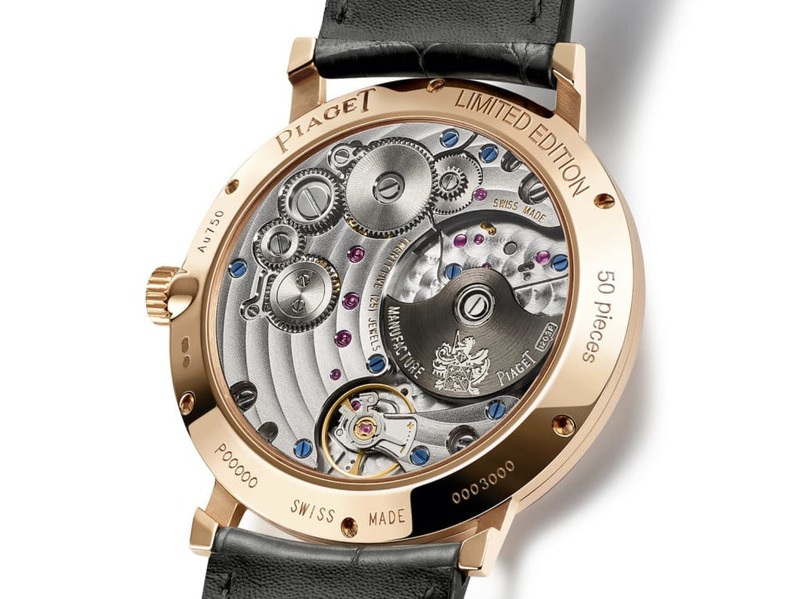 Piaget’s expertise when it comes to all things ultra-thin means they treat that aspect of fine watchmaking not as an end goal, but rather as the staging ground for various artistic and material innovations. The tradition at the manufacture of pairing hard stones with ultra-thin movements actually goes back some 50 years. When Piaget first began working with meteorite in the 60s, the prevailing industry trend was toward thin and elegant novelties. Consequently, the brand’s designers have a considerable amount of experience pairing these hard stones — which are generally still quite thick after they’ve been chemically treated — with the thinnest possible movements, ranging from simple time-only exemplars to complicated calibres featuring the tourbillon. 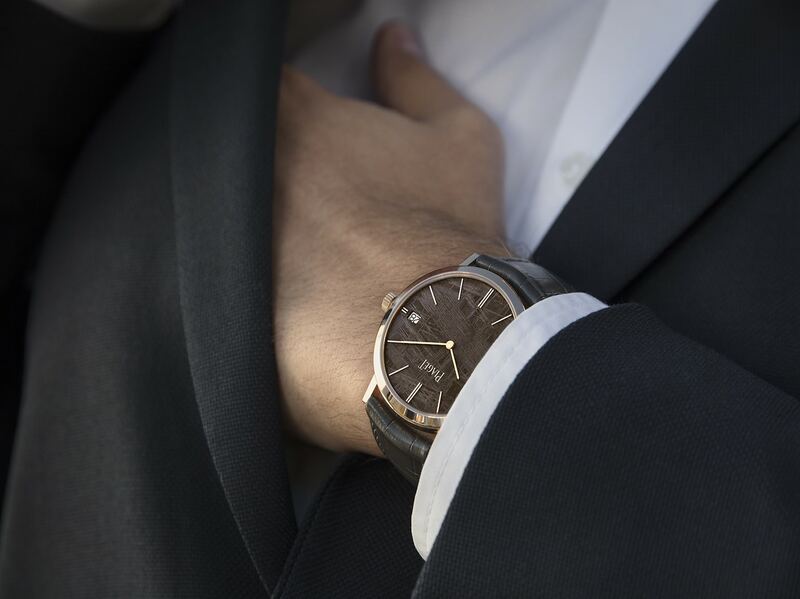 For the Altiplano Automatic 40mm, Piaget opted to use two kinds of meteorite in naturally occurring grey and gold colourways. The surface of these meteorites is permeated by an array of criss-crossing striations that are the result of a unique crystallisation process that affects their internal nickel-iron structure. In metallurgy, these are known as Widmanstätten patterns — named for a Viennese scientist who discovered them in 1808 (through application of a flame-based oxidisation process). Iridescent, rich in texture and unique to the meteorites from which they derive, Widmanstätten fragments are particularly prized by watchmakers looking for a material that has innate visual appeal. In order to reduce the rate of failure when each meteor fragment is chemically treated and then cut into dial segments — given their internal structures, they’re relatively difficult to work with — watchmakers need to use fragments that possess a bigger surface area. That necessarily has an impact on the thickness of the assembled watches, which led Piaget to develop another ultra-thin movement for usage in the Altiplano Automatic. At 3mm in thickness, the self-winding calibre 1203P is able to cede most of the Altiplano’s real estate over to the task of accommodating the meteorite dial segment, without compromising the watch’s overall ultra-thin proportions. A new micro-rotor design that is set in-line with the movement’s bridges allows the calibre 1203P to maintain its slimness, all whilst still managing to generate 44 hours of power reserve. In the context of a daily wearer worthy of all but the most casual of offices, that’s fairly reasonable. The Piaget Altiplano Automatic 40mm is available in two limited editions, featuring either a grey (HK$211,000) or gold (HK$218,000) meteorite dial. To learn more, visit Piaget online.